Ah, the weekend brunch, the only time when you can sit down with friends and discuss what’s been going on during the week and the previous nights’ adventures/bad decisions. What better way to do this than over a good meal and chat/gossip. But what if you’re thirsty? And I don’t mean the “I need some coffee” thirsty, we’re talking about the” I need some booze” thirsty. Your thirst, much like some people’s boundaries, knows no limits. You could get a mimosa, a bloody Caesar, you don’t know what, but you definitely want something and coffee isn’t cutting it this morning. Fortunately most places in Montreal have you covered with some of that beloved liquid nutrition. But have more than one mimosa and your booze bill climbs well past your food bill. 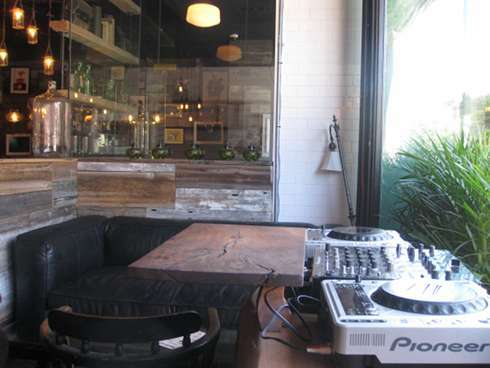 Wouldn’t it be great if there was an all you can drink option so you can your friends can enjoy a booze filled brunch? Well don’t worry, we have you covered, in fact, we put our livers up to the test and have the definitive all you can drink Montreal brunch list. So sit back and enjoy because your weekends are gonna start getting a whole lot more fun in the morning. First off, a little history and context. The bottomless brunch, as it is called in New York, is a proud tradition that never really made its way here in full force. Something about crossing the border and the cold kept that idea at bay but this last year, 3 brunch hotspots have seen the light and offer us an all you can drink bottomless brunch. Atelier Argentine, Suite 701 and Suwu all have their own version of this all you drink miracle. Atelier Argentine (355, Marguerite D’Youville) over in the Old Port lets you take control with two “build your own drink” options. You have a Mimosa Kit where, for $28, you can make your own mimosas. This way you can have your bubbly flowing all brunch long. 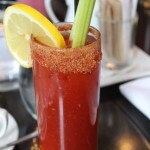 They also have the Bloody Maria option where for 24$, you can make as many Bloody Marys or Bloody Caesars. You can dress it up as you like as many times as you want. 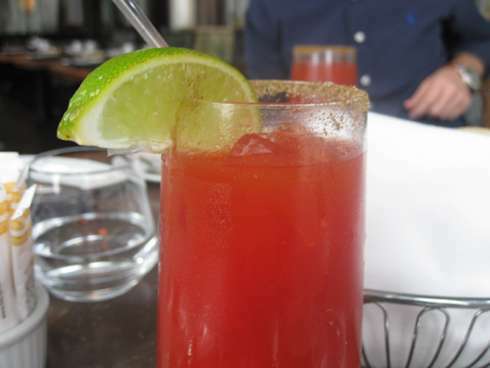 The fact that you also get an option for a Bloody Mary is as a big plus since most of Montreal is doing Bloody Caesars and you can really get creative with Bloody Marys since the flavours are more balanced using tomato juice rather than clamato juice which is pretty intense to begin with. For those who don’t know, the basic difference between a Bloody Mary and a Bloody Caesar is that Bloody Marys use tomato juice while bloody Caesars use clamato juice. Although it seems like a simple difference, the taste is quite unique between the two. Suite 701 (701 Côte de la Place d’Armes ), located in the Old Port, has an all you can drink option for $25 as of 1:30 and goes until 3:30. 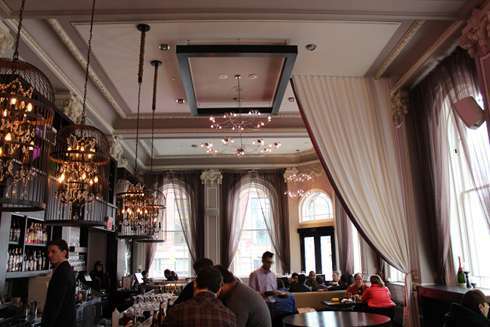 They have a DJ spinning music, the ceilings are high, and being in the Places D’armes hotel is quite impressive. 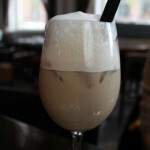 Their all you can drink option allows you to have anything on their brunch drink menu as often as you want. 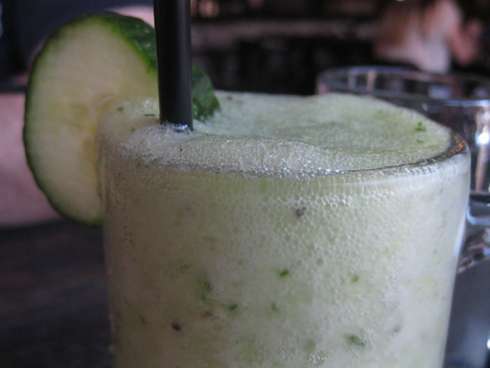 Their menu has 6 cocktail options with 2 different types of mimosas, 2 tequila cocktails, a Caesar, and a martini, 3 alcoholic coffees and 9 non-alcoholic drinks (including smoothies). 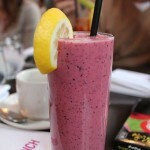 What makes this really interesting is that if you are the designated driver you can still get your money’s worth by having some smoothies or lattes and still come out ahead and enjoy that bottomless brunch feeling that everyone else is having. 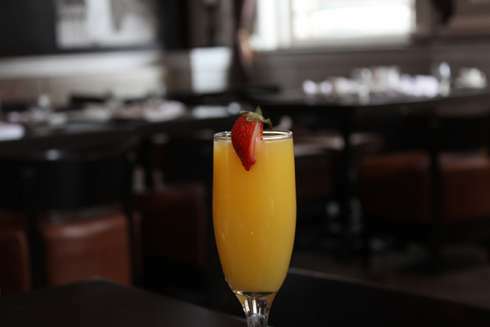 Suwu (3581 St Laurent) has its own spin on the boozy weekend formula and that is with an all you can drink mimosa option at $35 which has Proseco and freshly squeezed orange juice. There is a custom mimosa option where you have blood orange, peach, grapefruit and berries. The prices range from $47 (with Cava) up to $380 if you really want to splurge and go with a little Dom Perignon. Suwu also has some 4 person punch bowls at $30 if you thirst is not endless or if you don’t feel like a mimosa. The punch bowl cocktails are: Vodka with apple, cucumber, kiwi, lime and soda; Chambord with vodka, lemonade, raspberry and rosemary; bourbon with mint, passion fruit and soda. So if your weekend plans are to quench your never ending thirst or to simply get the party started a little earlier, consider these 3 all you can drink options and treat yourself to a bottomless brunch.